Beginning January 21st, the Tompkins County Amateur Radio Association will conduct a training course for the Technician class amateur radio license, an entry-level license for the hobby of amateur radio. Classes will be held from 9 a.m. to 12 p.m. Saturdays at the Tompkins County Department of Emergency Response, 92 Brown Road, by the Ithaca Airport. The course will meet for 9 weeks ending March 25th. The last class will be a test review session. Course attendees can take a Federal Communications Commission Technician class license exam at the same location on March 27th at 7 p.m. 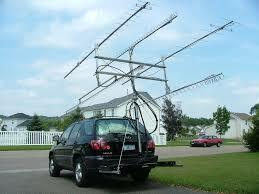 There are no prerequisites to take the amateur radio license course. A technical background is not needed for the license, but it is helpful. Some students will want to participate in the full 9 week course. 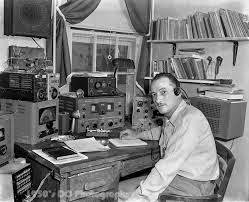 This course will generally follow the ARRL Technician License Manual mixing lectures with numerous hands-on activities. Some students will want to attend only the sessions they need to prepare for the license exam. We will try to assist these students when they attend a session. Some students plan to take the course online and may need some advice on the different commercial and free online services. We encourage these interested students to attend the first meeting to find the information they need. There is no fee for the course. Registration will be limited to 30 students. The course guide is the ARRL Ham Radio License Manual, 3rd edition, and costs $29.95 (ISBN 978-1625950130). The Manual can be purchased from Amazon or the ARRL. The March license examination session has a separate fee of $14.